The Haven Bar & Bistro…New look coming soon! Home Corporate Sailing News The Haven Bar & Bistro…New look coming soon! Arguably the Solent’s most beautiful port, Lymington is a picturesque Georgian market town in the centre of the New Forest National Park. Situated in the western Solent Lymington is close to the well known landmarks Hurst Castle, the Needles and Yarmouth on The Isle of Wight. Lymington Yacht Haven is our home port. 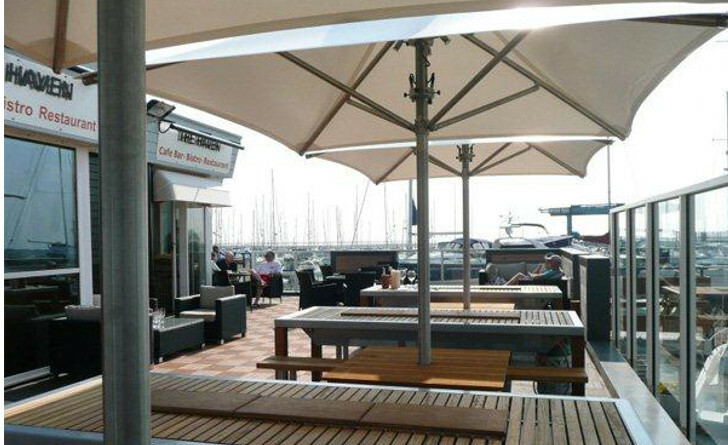 The hub of the marina is the excellent Haven Bar and Bistro – a great location from which to start and end your event. Spring 2014 will see The Haven Bar re open its doors after a full winter refurbishment. The original charm of the venue will be retained, but now also has full height glazing with stunning panoramic views over the Solent. The sun terrace features jumbo heated parasols and BBQ tables whilst inside the snug area now has a feature fireplace for the more wintry days. Watch this space for an official opening day!